The Custom Series line of trombone mouthpieces evolved out of the work we have done over the past 25 years for leading symphonic and commercial players. We blended together those aspects that we observed to be most valued and came up with the Custom Series. These fine mouthpieces have been crafted to exacting specifications and play-tested by many professionals while being developed. The Stork craftsmanship in bringing these specifications to the public is unsurpassed. This is our largest model. 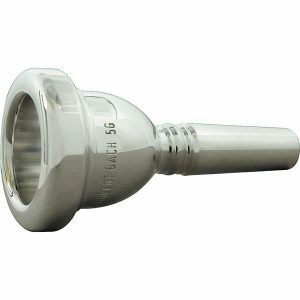 The internal dimensions of this mouthpiece are so large that it is only offered on the heavy blank style. The cup volume is similar to the Schilke 60 or Bach 1G, however, the cup shape is more “V” shaped with the throat area sloping more gradually down to the bore. 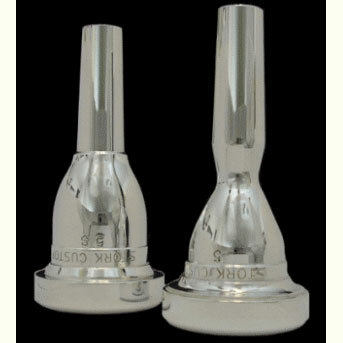 The rim is wider than most other mouthpieces with this large of an inner diameter. The contour is a traditional contour with the high point on the inside gradually sloping outward. This mouthpiece is significantly shallower than the #1 with a unique blending of cup shape and depth. The bottom of the cup (or ledge of the cup) is quite high for a large mouthpiece, but the throat area opens up to be quite ample. This provides quick response and great flexibility while still providing a large sound. The rim is slightly thinner than our other models with a crisp bite to it. The cup on this model is a variation on the 1.25. The Ledge is once again set high, but in this case the throat area is tighter. This reduces the amount of overall volume and adds a level of control appreciated by most players. The rim has a traditional contour with the high point towards the bite gradually sloping off. 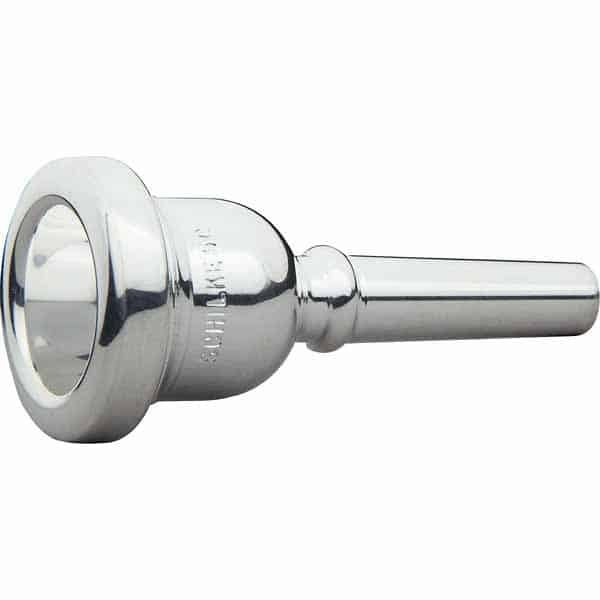 The overall cup volume for this mouthpiece is closest to that of a Bach 4G, however the throat area is more opened making this more of a “V” shaped design. The “V” shape can add a hint of brightness to the tone. The same cup and rim shape as the #4, just with a slightly smaller inner diameter. 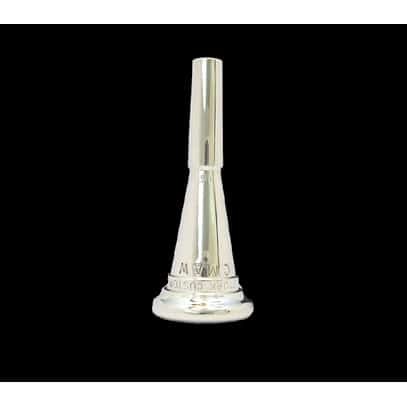 The overall cup volume for this mouthpiece is closest to that of a Bach 5G, however the throat area is more opened making this more of a “V” shaped design. The “V” shape can add a hint of brightness to the tone. This rim has a bit of flatness to the top and is very rounded on the bite. It is known for its extreme level of comfort. Same cup shape and rim as the #5 with a slightly smaller inner diameter. The T1 is our most popular design for large and small shank trombone. The cup is a large sloping “V” shape. The back bore is slightly tighter than most other equivalent models. Players enjoy the benefit of the large cup – large sound profile, but with just a hint of added resistance for improved control and response. This is a very rounded rim. The T2 has a shallow cup in that the ledge of the cup slopes in quickly, however the throat area is very open. This is a great combination allowing greater ease in the upper register but enough cup volume to fill out the sound. This is the flattest rim of the series with a crisp bite to it. A shallow cup with a tight throat. The shape is very “C” styled which adds darkness, slowing the air to help compensate for the shallowness rounding out the tone. This rim is rounded and a tad narrower than the rim of the T1.